I am the Business Development Manager and I have had the privilege of working at Gulfgate Dodge Chrysler Jeep Ram for 13 years. When called to consider a manager’s position at the store back in 2003 I was delighted. I knew I could come in and make a difference. I had to do a lot of phone calling for the Service Department initially to turn the process around for customers. Within 90 days, the task at hand was accomplished. I am also the voice of Gulfgate Dodge Chrysler Jeep Ram as we sponsor the 8AM-9AM hour “Wings of Faith” program with Letitia Jackson Monday through Friday on 1360 AM KWWJ. This allows listeners to hear all about the great pricing, rebates and specials that they will receive if they purchase directly from me. I make the process smooth without hassles, headache and hoops because I am the Manager and I don’t have to spend time getting a price to make a deal. We now have a special program that I am spearheading and offering to Pastors and their congregations, fraternities, sororities and any non-profit organization by Chrysler Financial called the Partners Program. This program allows the members to purchase new or pre-owned cars at an extremely discounted price plus rebates (if available) on their new car purchase. In addition to the rebates given by the Chrysler Financial there is an additional $500 given by Chrysler Minority Dealers Association to be used for any new car or pre-owned car purchase. The Partners Program also provides discounts on Parts and Service if you are a member. The beauty of it all is that when you’ve made your purchase with me, and the deal is finalized and funded by the lender, Gulfgate Dodge Chrysler Jeep Ram will donate $200 to your church or organization. 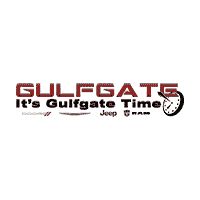 We will also donate 5% of any Service/Repair bill for vehicles serviced at Gulfgate Dodge Chrysler Jeep Ram. Let me know how I can help and I look forward to helping you purchase the vehicle of your dreams!